I’m originally from Long Island, NY and came out to Hawai’i in 2005 to attend the University of Hawai’i Manoa. I also have a great respect and passion for the ocean and surfing, so it was a win-win situation. Do you remember the first craft beer that got you hooked? I actually met Troy about 5 years ago while bartending and would always overhear him talking to people at the bar about beer. He had a great passion and I often would turn to him when people would ask about beer. That was when I drank Deschutes Green Lakes, and the rest is history. What is your role at Real? I’ve been at Real since opening day, but was given the opportunity to be the Beverage Director back in August of 2013. I deal a lot with sales reps most days building orders and staying on track with release dates of new beers. Aside from that there’s a lot of time going into events (beer tasting, beer dinners, Tap events) and communication with the rest of the staff on what’s in lineup to be tapped and/or new bottles to be coming out in the near future. Adam (Brew’d) and I are also in communication on a daily basis to see what each other has planned and lined up this way our selection wont be too similar. How do you decide what beers to put on tap at Real? I try to keep a well-rounded draft list by styles with an attempt to have a beer for everyone. Sometimes I can go a little IPA or stout heavy. I think that just depends on if I wake up on the right side of the bed or not. Are there any beers or styles that you always have to keep on tap? I try to always keep at least one local beer on draft Also, if I have less than 4 to 5 IPA’s on draft, I definitely hear it. I would like to see a rise in ESB’s and Gose. I feel ESB’s are an under-appreciated style and its something that we can only get on tap every so often. As for a Gose, we’ve seen Anderson Valley recently come out with a few in Hawaii, but I would like to see more. It’s the perfect beach/day beer for me! It’s always great to see the excitement and passion from people coming in and getting really fired up about something that’s on draft or finding a beer for someone that they’ve never had before. People get that inner glow when you find them the beer that just blows them away. I keep in contact with Tommy over at Big Island Brewhaus and try to get some draft events working on occasion. We’re also talking to Jeff at HNL Beerworks to hopefully have some of his beers on as well. Already in the past 2-3 years it has exploded so I could only imagine how it will be in 5 years. 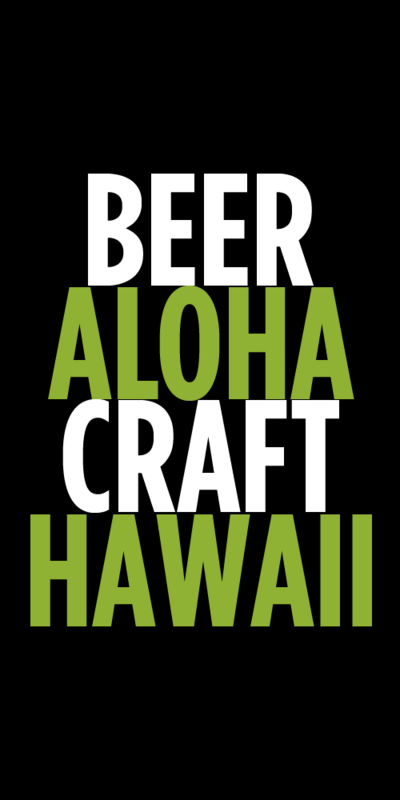 I think its awesome that the American Craft Beer scene has been finally making a big step in Hawaii and would like to see more. 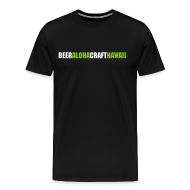 There’s too many amazing beers being brewed right here in our own country that we cant get our hands on in Hawaii, and hopefully that will change. Big ups to Jason from Underground Wine and Southern Wine & Spirits, they’ve been killing it! I really like the Beat Salad with a Sour (Anderson Valley’s Holy Gose). Everything from the acidity in the pickled beats, to the mild saltiness of the Holy Gose, to the blue cheese crumbles. That pairing is perfect to me. That question seems to pop up a lot. I think it depends on the day. Lately its been light, dry, hoppy, session pales. Tags: Interview, Real A Gastropub. Bookmark the permalink.